this layout is a little bit of a hybrid. you know what hybrid is, right? digital elements mixed with traditional paper elements. i use it quite a bit actually. 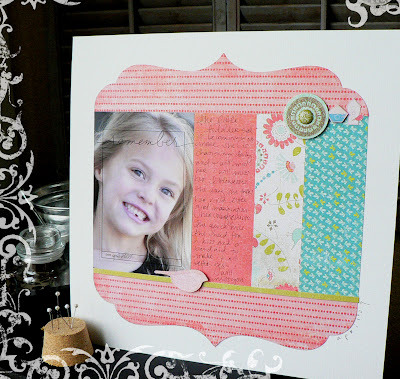 the digital here is from ali edwards remember journal card kit. i liked the idea of it over the photo, it's what this layout is about. remembering this little girl as a little girl before she gets too much bigger. sigh. This is lovely, Jamie! I "played" a bit over at Studio Calico this week, too. Happy NSD to you!